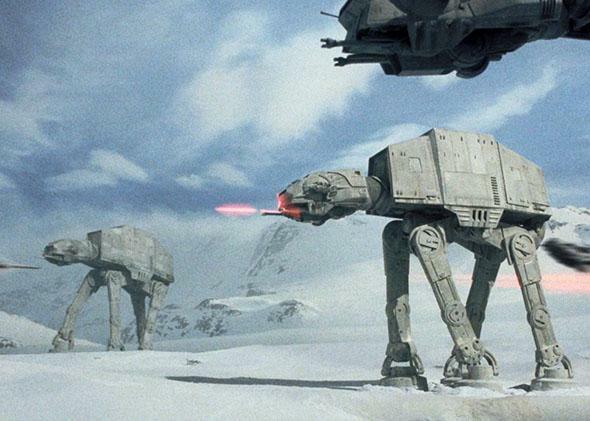 Star Wars: How incompetent is the Empire’s military? How Incompetent Is the Empire’s Military in Star Wars? A battle scene from The Empire Strikes Back. It depends on what you’re considering to be Star Wars. If you’re just considering the canon movies, you get a very different picture of the Empire’s competence than you do in the expanded universe. You have to consider that the Empire managed to conquer 1.5 million worlds and colonize or exert governance of some kind over nearly 70 million more. That could not be done by a completely incompetent organization. The sheer size and scope were immense—tens of trillions of soldiers in the Army alone, and that’s not even including the Stormtroopers. There is actually a fairly significant discrepancy between the movies and the expanded universe. In the expanded universe, the Stormtrooper corps are elite soldiers and suffered very few significant military defeats. In the movies, they can’t hit the broad side of the barn. In the expanded universe, the Imperial Navy is a serious foe and the average TIE fighter is a match for just about any similarly situated opponent. In the movies, they’re cannon fodder. In the expanded universe, the Empire wins countless victories on a daily basis. In the movies, they only visibly win one time, in the Battle of Hoth. However, let’s also consider that there is really no way to get all that background material crammed into the movies. So what we’re stuck with is a view of only a selected, unrepresentative series of battles in which the Rebels defeat incompetent Imperials, while all the counterexamples are hidden in the background. Star Wars: In Star Wars, why didn’t all the Jedi use the double lightsaber like Darth Maul? The Empire: Why should the Empire have won in Star Wars? Star Wars: What’s wrong with an X-wing aircraft in real life?